Wow! It's been October since I've posted anything on the blog. A LOT has happened since then and I think you all will understand why I've been MIA from here for a while. For those who don't know, my husband and I are expecting our first child in August! We're so excited and it's been a whirlwind since we first found out. I've been learning a lot about maternity fashion as I watch my belly grow more and more every day. 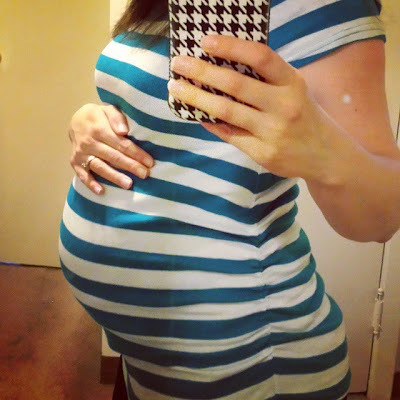 At this point I am almost 29 weeks along (already in the third trimester!) I have some maternity clothes and a handful of my non-maternity pieces still fit. Those are mostly long tank tops and jersey knit dresses that have a lot of stretch. I have found that simplicity is the key for me when dressing my baby bump. I want to be comfortable and not have to think too much about what I put on. 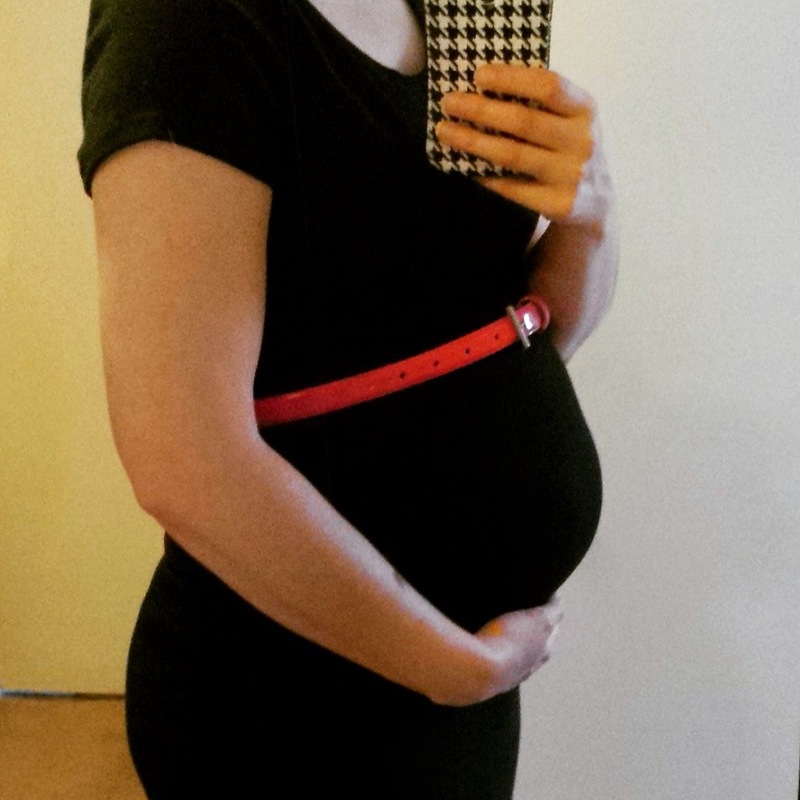 Below is what my basic maternity wardrobe has looked like in the past few months. Basic T-shirts and a good pair of maternity jeans in a dark wash have worked great for me. Easy dresses that I can throw on in a minute are also wonderful. When wearing a dress, I like to accentuate the bump with a skinny belt right above my belly. Accessories like scarves are great to dress up any basic piece. I also love carrying a lightweight purse (because I have enough weight on me as it is) and comfortable shoes are a MUST, especially in the third trimester. The pair show below is from Clarks. I find that when I wear less supportive shoes, my ankles are more prone to swell. I hope this helps any moms to be out there and gives you a look at what I've been wearing lately. Bump at 22 weeks. Dress and belt (old, similar here) from Target. Bump at 28 weeks. Top from JCPenney.